Mafia City: War Of Underworld plunges you into the midst of a virtual world full of deceit, deception and warfare. Based on the hit gaming series Mafia, this game has made its way towards becoming one of the most popular games on the store. Developed by Yotta Games Limited, Mafia City: War Of Underworld is available to download and play for free on iOS devices from the Apple iTunes Store. Some in-app purchases are recommended for the perfect gameplay experience but if you want to live the “Thug Life” free of cost that is a completely valid option as well. Mafia City: War Of Underworld is available in a reasonable package size of 98.8 MB and it offers a rich gaming experience without being too heavy on your device. The story of Mafia City: War Of Underworld is mainly based upon the first part of the original gaming series and it incorporates some elements from the newer second and third parts as well. The game is set in the 1930’s when crime gangs had become a huge nuisance and were busy terrorizing all of America. The gameplay combines a base strategy game with the immersive story line the likes of which are found in legendary games like the PC games of Grand Theft Auto and Mafia. If you have played strategy games like Red Alert or Age of Empires before, then you will be very comfortable playing Mafia City: War Of Underworld. However even if you haven’t had a taste of strategy games before, the in-game tutorials and conversations with your partners as well as the cut-scenes in between levels make it very easy for you to understand the gameplay mechanics. Mafia City: War Of Underworld is a game that ensures you use all your mental as well as logical faculties. Granted the in-game help does wonders for a beginner but if you really want to progress in the crime rings and make a name for your gang, you need some extra guidance. 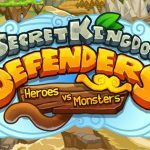 So read on to get some insider tips and tricks on how to beat the game and to get rolling on the block! Mafia City: War Of Underworld is all about taking control of the crime gangs all over the city and becoming the real king pin! You have to ensure that you stay as the most favored crime lord in the eyes of the gang members and even the police. As such, you will be introduced to an in-game tutorial when you first begin the game which will walk you through all the basics of building and fighting in the game. However, what this tutorial fails to mention is the relative importance of upgrading the different types of buildings that are available to you. The Casa is your personal ranch or estate in which you and your gang members will live and it acts as a base of operations for your Crime Ring. Compared to other types of buildings that are available to you, the Casa costs the most to upgrade and also takes the longest time to finish. 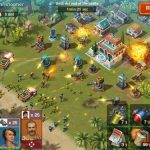 This might put you off from upgrading the Casa in favor of weapon warehouses and gang training centres that take a much shorter time to finish upgrading. DO NOT make this mistake! The Casa is akin to the heart of your crime Empire and the rewards of upgrading it are well worth your time and cash. Your main source of income is the weapon trade and upgrading your Casa makes much more cash available to you by unlocking level ups for the gang members and your training grounds. With more weapons ready to ship at a moment’s notice and planes ready to fly it all over the world, you are all set to earn a staggering amount of cash. Concentrating on upgrading the Casa should be your top most priority and if you feel that an hour or 30 minutes are just too much for you, then follow this simple trick: Upgrade all the quick timing buildings but remember to leave enough cash in your bank to upgrade your Casa. Before going to sleep at night, put your Casa on upgrade and que one more level upgrade using Gold (You can purchase some if you have none). Viola! Wake up to two finished levels of your Casa and a hoard of unlockables ready for you to start conquering the crime universe. While building your crime Empire you also need to keep the negative motives of your opponent crime lords into consideration. This is because these crime lords are controlled by the artificial intelligence in the game. This is a huge cause of concern for you because their sole objective is to completely destroy you and your crime Empire. Some of the enemy gang members will even try to rat you out or your gang members to the local law enforcement authorities so you need to be at your guard at all times to avoid any unpleasant situations. In addition as your reputation in the city increases you will be able to hold much more influence with the police as well. This means that once you have enough crime rep, you will be able to get your gang members out of jail and even initiate crack downs against your enemy gangs. So use the power of crime wisely and with responsibility to become one of the most feared Mafia Bosses in the city! The gang members who work for your cartel are divided into two factions. The bulk of your forces is made up of thugs who are the muscle on the streets and work to keep control over your territory. These thugs might sometimes get kidnapped for ransom for sending a message to you by rival crime rings. In fact the very first mission in the game requires you to storm a Rival Crime gang hideout and free your kidnapped thugs. These thugs have basic attacking capabilities as well as only a starting level of artificial intelligence. This means that you cannot use them to make any complex decisions for your crime ring. They are meant to only be the front liners for your attacks on the enemy crime gangs and you will usually end up losing them in quite a large number. That is perfectly alright however because they are very easy to recruit and do not cost very much to keep in your crime ring so they become almost disposable at a point in the game. The other faction consists of trained and skilled killers called Assassins and these are the highly specialised members of your crime ring. As you level up throughout the game, you will begin to unlock Assassins with better skills and higher attacking power. Use these Assassins to control your war squad and lay waste to the Casas of your enemy. During a siege, always work to destroy the enemy’s primary defense (machine guns and rival thugs) before trying to hit the Casa. In addition to brute attack, the main strength of the Assassins lies in attacking from behind while unknown to the enemy defenses. The higher level Assassins can hide themselves from enemy detection and thus come very close to the rival mafia boss. If you get such an opportunity during any of the missions you should immediately take it as you will rarely find a chance to get so close to a rival mafia boss and kill him. Assassins are especially well trained in finding out the weaknesses of enemy mafia bosses and you can also use this special power to your advantage and take over an enemy crime gang very easily. In Mafia City: War Of Underworld you are one of the most powerful and influential men in the city. However you have to balance your reputation for cold hearted murder and deceit along with your image as a valuable citizen of the city. This sounds insane for a game which is aimed at mass murder and scaring people into submission but you will have to play along in order to avoid the law enforcement authorities. One of the main methods to control the flow of your illicit wealth and make sure it doesn’t look too suspicious is to invest it in the many businesses around town. Investments are in fact one of the greatest sources of additional wealth in the game and allow for you to purify the illegal money that you earned from mass murder and wars with rival gangs. The first step to becoming an intelligent investor is to look for the source of wealth that can give you the highest amount of money in the shortest amount of time. There are many places around the city which you can either buy or rent for a short period of time. Due to the tax that you have to pay, buying any property around the city is actually a much better option than renting. 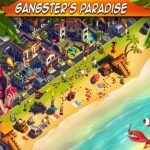 When you invest some of your cash in purchasing a new property, your control over the city increases by a certain amount and you are also able to get a new hideout for your gang members at the same time. The second type of investment that you can make in the city is to buy shares of a famous bank or business. This is a very good source of passive income throughout the game and you will keep getting cash as long as the bank or business keeps making profit. To ensure that this is the case you can also use your gang members to scare off potential competitors and sometimes even take over entire rival businesses once you are on a high enough level. The most important thing about this kind of investment however is the ability for you to get out of the scrutiny of the law enforcement authorities. Whenever you invest in a public bank or business you increase your reputation as a citizen of the city who is positively contributing to the economy. Even if the police know about your crimes, they will in these cases choose to ignore them in favour of the contributions you are making for the development of the city. In Mafia City: War Of Underworld, it is very important that you carry out upgrades to the investments that you have been making around the city as well. This allows your invested banks or businesses to net you a much greater profit. The profit will keep on piling up until you collect it though so remember to always collect cash from all of your investments in regular intervals. This will ensure a smooth flow of cash into your reserves and you will be able to carry out the necessary upgrades whenever needed. Mafia City: War Of Underworld brings with it various mini-games and achievements to constantly motivate you and keep you from getting bored. You will be introduced to one of the many minigames at the very start when your beautiful assistant will ask you to choose which cup the ball is in from three cups after shuffling them. You will be rewarded with her stripping off her clothes each time you are able to tell the cup correctly. Even though it is a slightly cheap tactic, the developers have made sure to keep your attention towards the game at almost all the times with these minigames. Another motivating feature of the game are the achievements which you can unlock and keep track of across social media. There are countless medals and titles that you can get in the game just by killing a high number of rival gang members or by spreading as much chaos through the city as possible. In contrast you can also get various awards for being a model citizen and working towards developing the city. The game gives you a ton of choices at every point so in the end it all comes down to how you badly you want to see yourself as the most feared Mafia Boss of all time!